불국사 서북쪽 언덕의 밭 가운데에 서 있는 탑으로, 2단의 기단(基壇) 위에 3층의 탑신(塔身)을 올린 모습이다. 아래층 기단은 4매, 위층 기단은 8매의 돌로 짜여져 있다. 각 층 모두 모서리에 하나씩, 가운데에 2개씩 기둥 모양을 본떠 새겼다. 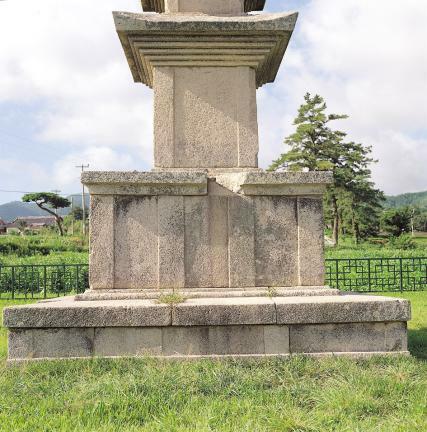 3층을 이루는 탑신의 몸돌과 지붕돌은 각각 한 돌로 이루어져 있다. 지붕돌은 밑면의 받침이 5단이며, 네 귀퉁이와 아래면에는 방울을 달았던 구멍이 남아 있다. 아무런 장식이나 조각이 나타나 있지 않아 경주를 중심으로 한 경상도 지역에 널리 유행하던 소박하고 단정한 모습의 석탑 중의 하나로 보인다. 8세기 후반의 작품으로 추측되며, 불국사와도 매우 가까운 거리에 자리하고 있어서 눈길을 끈다. 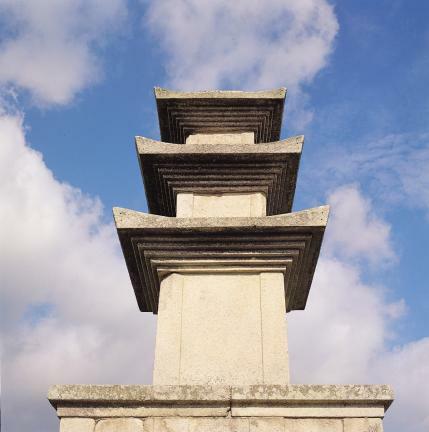 This three-story pagoda stands on a field northwest from Bulguksa Temple and consists of two-story platform and three-story body. The lower and upper platforms are made up of four and eight stone plates, respectively, with pillars carved on the corners and at the middle of both platforms. The body and roofstone on each story are made of a single piece of stone. Each roofstone has a five-layer support, and there are holes for hanging wind bells on the four corners of the roofstone supports. 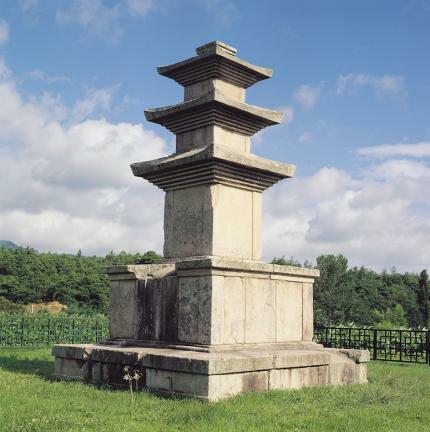 This is one of the stone pagodas without any carving or decoration as was the prevailing trend around the Gyeongsang-do area including Gyeongju. 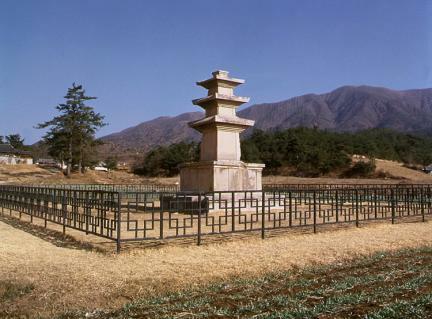 This pagoda is presumed to have been built in the late 8th century; noteworthy is the fact that the location of this pagoda is very close to Bulguksa Temple.